(18) Photos Printable Brochure Apply For Credit Vehicle Inquiry Text Us About This Vehicle! 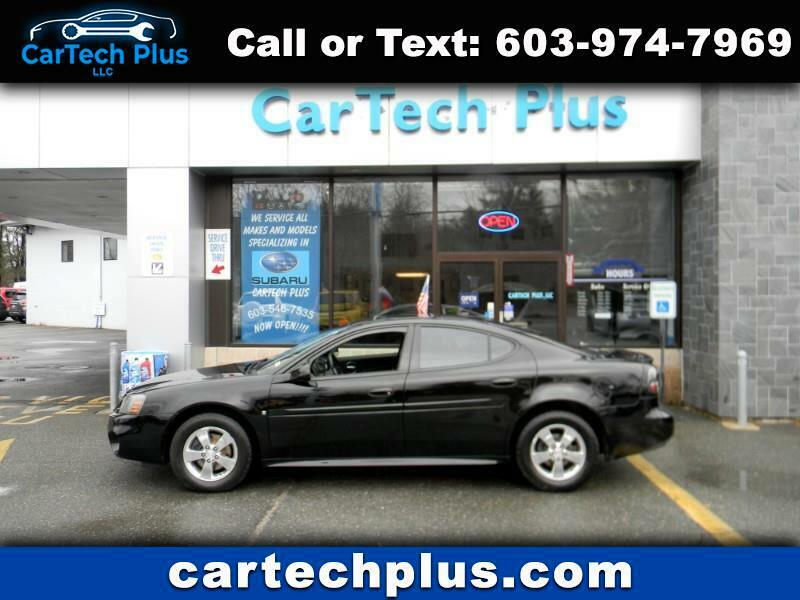 GREAT BANG FOR YOUR BUCK HERE AS THIS FULLY LOADED MID-SIZE SEDAN HAS BEEN METICULOUSLY MAINTAINED AND CARED FOR....POWERED BY G.M. 'S BULLETPROOF 3.8L 6 CYL. ENGINE AND EQUIPPED WITH A SMOOTH SHIFTING 4-SPEED AUTOMATIC TRANSMISSION, HEATED LEATHER SEATS, POWER MOONROOF, AUTOMATIC CLIMATE CONTROL WITH ICE COLD A/C, TRACTION CONTROL, POWER SEATS, MIRRORS, WINDOWS, AND LOCKS, PREMIUM SOUND SYSTEM WITH CD PLAYER, ALLOY WHEELS, FOG LIGHTS, AND SOOOOOOOOOOOO MUCH MORE....ALL SERVICED UP WITH NEW FRONT AND REAR BRAKES, NEW EMERGENCY BRAKE CABLES, NEW TIE ROD END, NEW FLUIDS AND FILTERS....COMES STATE INSPECTED AND WARRANTIED SO YOU CAN BUY WITH CONFIDENCE....MAKE SURE YOU CHECK OUT THE CONDITION OF OUR VEHICLES BEFORE YOU BUY, YOU'LL BE HAPPY YOU DID.